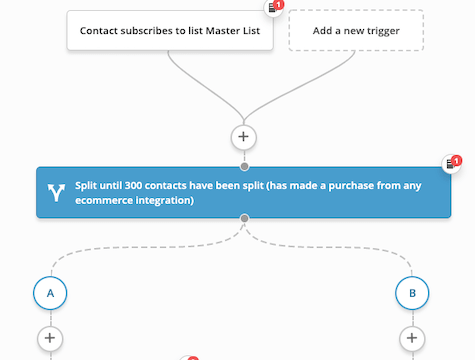 Use a split action to have contacts exposed to two different sales cycles. After a certain number of contacts have passed through the split action, a winner is determined based on sales driven results. Apply what you have discovered about what works to later sales messaging.